When we first talked about getting a couple of chickens for the purpose of getting eggs from them, I was a bit put off at the thought of having to scrub chicken poo off of them before use. As you can see from these beauties (collected today), that’s not always the case! In fact, it’s hardly ever an issue for us. Maybe with larger groups of chooks it’s more of a problem, but with just the two it’s rare that we get heavily soiled eggs. I haven’t done anything to the eggs in the photo and they’re just as clean on the other side. 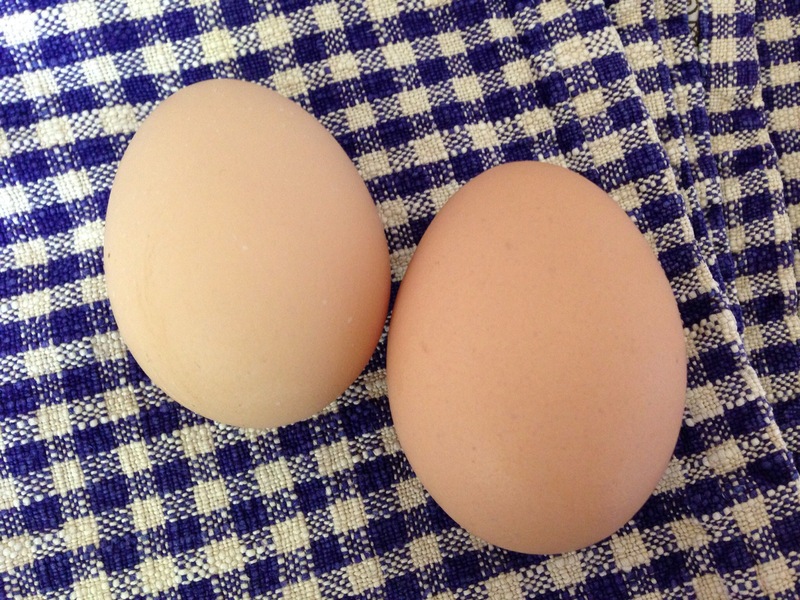 And fresh eggs from your own chickens are just about the tastiest things in the world!